The electric car is not dead, but is inevitable. That was a message delivered on Wednesday by GM's North America President Mark Reuss for the Automotive News World Congress. The automotive press is full of dire predictions and mis-characterization of the process of electric vehicle adoption. Instead, Reuss said the industry and mass consensus opinion of car buyers is simply in the middle of a transition, and transitions take time. There is a fair amount of negative press coverage of electric vehicles. A year ago it was the Chevy Volt fire controversy, a highly politicized and purposely hyped non-danger which blew out following congressional testimony. The political campaign season fortunately just concluded included a lot of over-hyped bogus statements against electric cars, such as the bogus claim that each Chevy Volt came from a $250,000/Volt federal subsidy, Gingrich's boast that you can't put a gun rack in a Chevy Volt (when you can), and Romney's repeated efforts to Solyndraize Fisker Automotive and Tesla Motors. The political hype got so bad that Bob Lutz had to weigh in multiple times, telling his conservative friends they were hurting the American economy and jobs growth by bashing electric car makers. Then there are taxes on electric cars either going into effect or being considered in Arizona, Oregon, Virginia, and Washington State. And there's also all the press describing electric vehicle sales as a dismal drop in the budget, when the truth is that electric vehicle sales are rapidly growing (same numbers, just looked at different ways). It's enough some days to make even ardent supporters of electrified vehicles sad and frustrated. He pointed to technology advances that are coming which will "offer comparable performance at comparable prices," in time. What does that mean? What about "an affordable electric car that offers 300 miles of range with all the comfort and utility of a conventional vehicle"? Many in the auto industry think that before electric cars can be successful they must exactly replicate the fueling behavior of gasoline cars. That means a 300+ mile driving range between fillups, and refueling that takes 5 minutes or so. The closest to that among the current electric cars is the Tesla Model S, where the 85 kilowatt-hour model has an EPA certified 265 mile electric driving range, and at a SuperCharger station will refuel in about an hour. In the meantime GM and other electric vehicle makers are working with battery manufacturers to increase energy density while reducing costs. GM's management has stated several times over the past year that the company is researching advanced battery technology in both the U.S. and China, and that GM will be selling a 200 mile range affordable electric car in a few years. Did Reuss just repeat that claim? 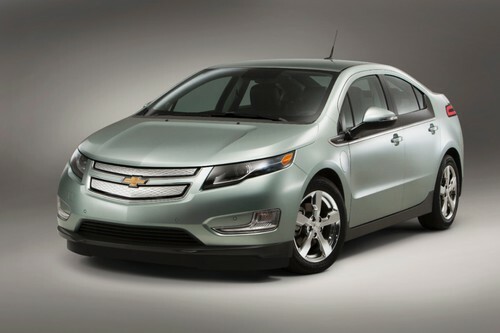 In the meantime the Chevy Volt has seen a tremendous sales growth from 2011 to 2012, even though total sales are a drop in the bucket compared to gasoline powered cars. And GM has just shown the Cadillac ELR based on the Volt technology. Reuss expects the ELR to sell well, because of its looks and the luxury features you'd expect from a Cadillac. Why is the electric vehicle inevitable? According to Reuss it's because of the technology improvements which will eventually deliver the 300 mile range and instant refueling experience that many think they require. We don't have to take just GM's word on this, because there is other evidence of technology advances. An example comes from the electric motorcycle racing field where the top teams have made tremendous speed improvements. During the TTXGP World Championship race at Daytona in October, Brammo's hit top speeds of 170 miles/hr during race conditions, a speed that just two years ago was the land speed record for electric motorcycles. During the e-Power/TTXGP race at Laguna Seca in July, the top five bikes clocked lap times fast enough to beat some of the 600cc gas bikes racing that weekend. That the top electric motorcycles are clocking speeds as fast or faster than the top gas bikes demonstrates that the speed fanatics don't need their V8 monster machines to experience speed, but where the electric race bikes still come up short is in range. The electric races are 1/3rd-1/2 the distance of gas bike races. But that simply means a breakthrough in battery energy density, which GM and others are actively researching, will result in electric race bikes that can match or exceed both the speed and distance of gas powered race bikes. In short, electric car or motorcycle makers will be able to increase speed, power and range of mass market electric vehicles, while reducing the cost. This much is inevitable because there are several different paths of battery research leading in that direction. The question at that time will be, why do we need to burn stuff to drive around town, or for racing?